The CRP-10797 is a favorite of the Applied Molding designs because our customers love the delicate, yet obvious molding profile. This door design looks fantastic when combined with a simple, flat Reversed G-Cove for the “raised” center panel profile. To optimize this door for use with painted finishes, Conestoga (CWS) designed the CRP-10797 (MDF). 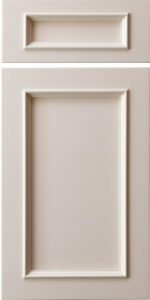 The MDF version of this door touts full, five-piece MDF construction and similar to its wooden brother is a favorite pick for inset cabinetry. M-Bead, P-057, P-602, Presidential, Reverse G-Cove, & RM only.